The Ninja Coffee Bar is pretty cool. Let me get that right out of the way. It gives a coffee fiend like me all kinds of options for getting my caffeine fix in. 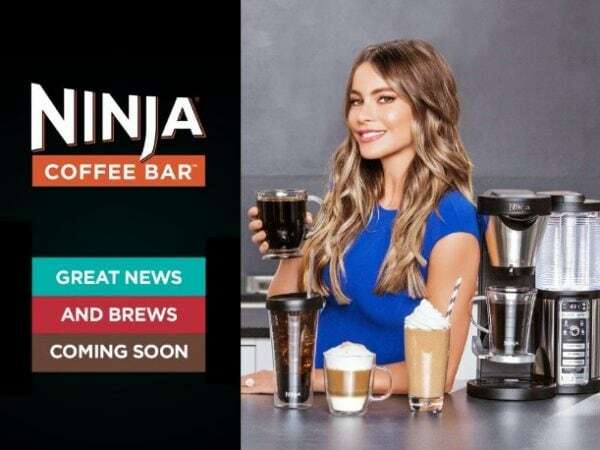 With the Ninja Coffee Bar, I can have super strong shot of coffee, a standard cup of coffee, an iced coffee, and more. It’s in the office space that I share with my sister, so we’re both able to caffeinate ourselves sufficiently while we work–which keeps us productive, and being nice to each other. 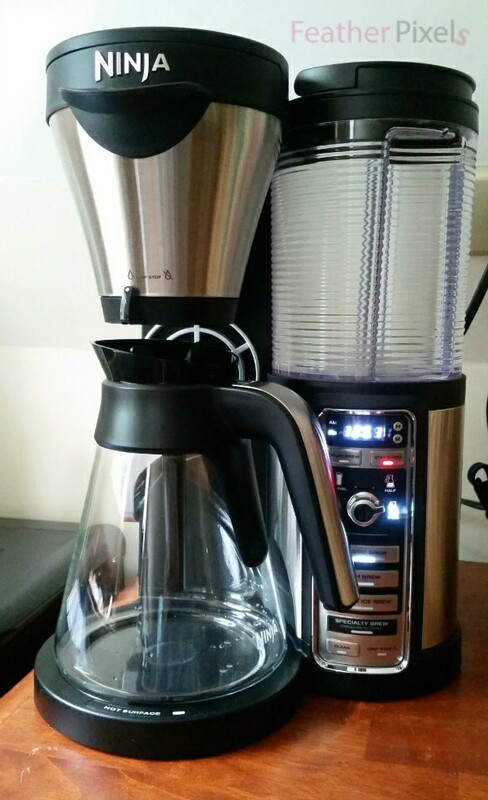 We received the Coffee Bar for review and this post contains affiliate links. All opinions are our own. 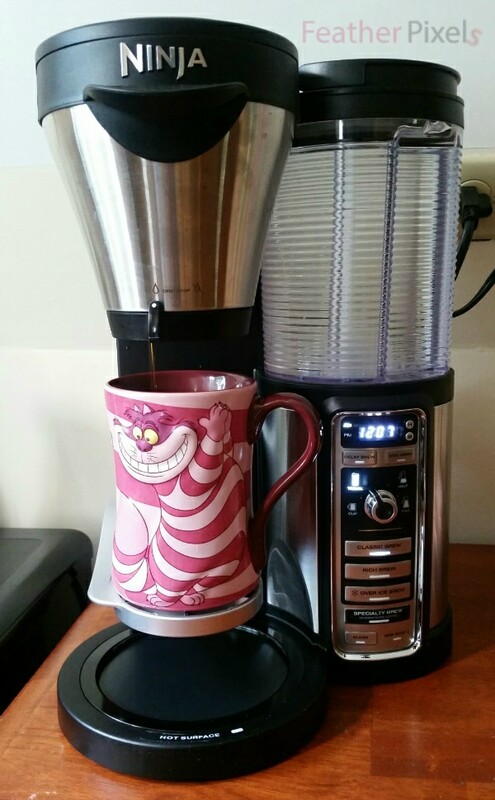 Any old coffee maker can shoot hot water over grounds and churn out coffee. The Ninja Coffee Bar is different. It uses Thermal Flavor Extraction technology to make several different sizes and coffee styles, and it does it with a technology that knows exactly how much water and heat to use. It’s kind of cool. Thermal Flavor Extraction Technology – Brews rich coffee with strength varying from regular coffee to espresso. Auto-IQ One Touch Intelligence Technology – Customizable options for smooth, rich coffee in a cup, travel mug, or carafe. Brewing Options – Choose Classic Brew, Rich Brew, Over Ice Brew, and Specialty Brew. 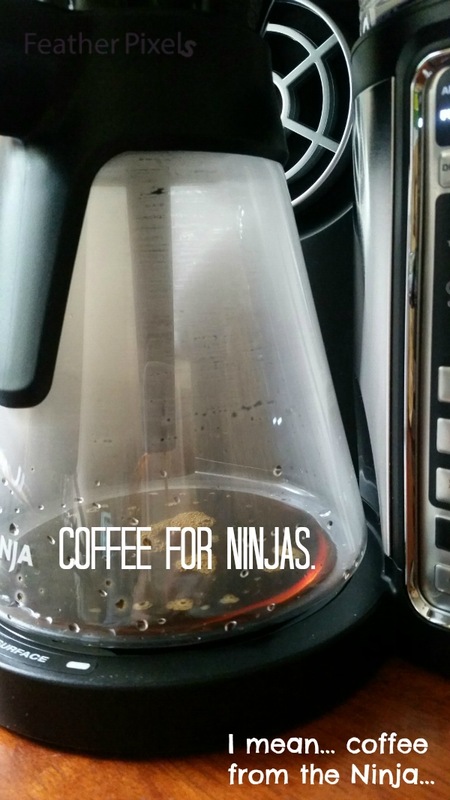 Overall, we couldn’t be happier with the Ninja Coffee Bar. Instead of making coffee runs and disrupting our work day, we now just Ninja over to the snack station/coffee bar and refuel with expert precision. Do you have a coffee bar at work as cool as this? I asked Santa for one of these for Christmas. I need to keep my coffee addiction in check and this is perfect. That Coffee Bar looks so great! I’m all about the coffee, so this is so perfect for me. That looks like quite the coffee machine! Not to mention, I bet it’s nice that it has so many brewing options. That looks fantastic! Anybody can have a coffee maker. I need one of these coffee bars. Yay for awesome coffee! I would love to find a Ninja Coffee Bar under the tree for me this Christmas. I need a new brewer. I would love to get this for Christmas. Coffee is a very important part of my day and I’m always looking to try new kinds. This sounds like the coolest coffee system. We’d definitely get a lot of use out of it. It would be nice having an easy way to make espresso too. My mom wants to get this so bad. We have just the blender. This would be really nice to have. I love the Ninja products! I own the blender and it works great. I’d love to get this coffee system next. I had no idea that Ninja does coffee makers!! This sounds like a great machine, and I love your coffee cup!! Wow that is a monster of a coffee machine. It looks really neat.